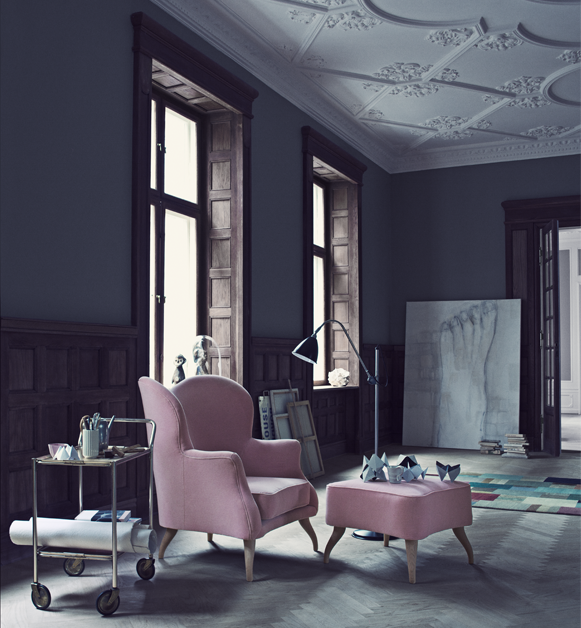 The Bonaparte pouffe has a wooden frame and is made of polyurethane foam. The upholstery on the frame is fixed and comes in a wide range of leathers, fabrics and colours. The legs are available in steel, oak and black stained beech. Dimensions: H: 40 x L: 78 x W: 75 cm. Here shown upholstered with 382 OPUS colour. 32 Fumee and with 382 OPUS colour. 03 Powder. Leg in Oak.